Preheat oven to 300°F. In a medium bowl combind flour, soda and salt. Mix well with a wire whisk. Set aside. In a large bowl blend sugars using electric mixer at medium speed. Add butter and mix to form grainy paste, scraping the sides of the bowl. Add eggs, peanut butter and vanilla, and mix at medium speed until light and fluffy. Add the flour mixture and mix at low speed until just mixed. Do not overmix. Drop by rounded table spoons onto an ungreased cookie sheet, 1 1/2 inches apart. With a wet fork gently press a crisscross pattern on top of cookies. Bake for 18-22 minutes until cookies are slightly brown along edges. Transfer cookies immediatly to cool surface with spatula. The cookie jars are restocked. My day is done! lol. Not really, dinner is yet to be made, the baby to be bathed, laundry to be done. Mitch is midway through re-flooring our bedroom, so furniture is everywhere. Hopefully, when the kids are in bed, there will be a few minutes left to work on the pair of chairs we’re re-upholstering. 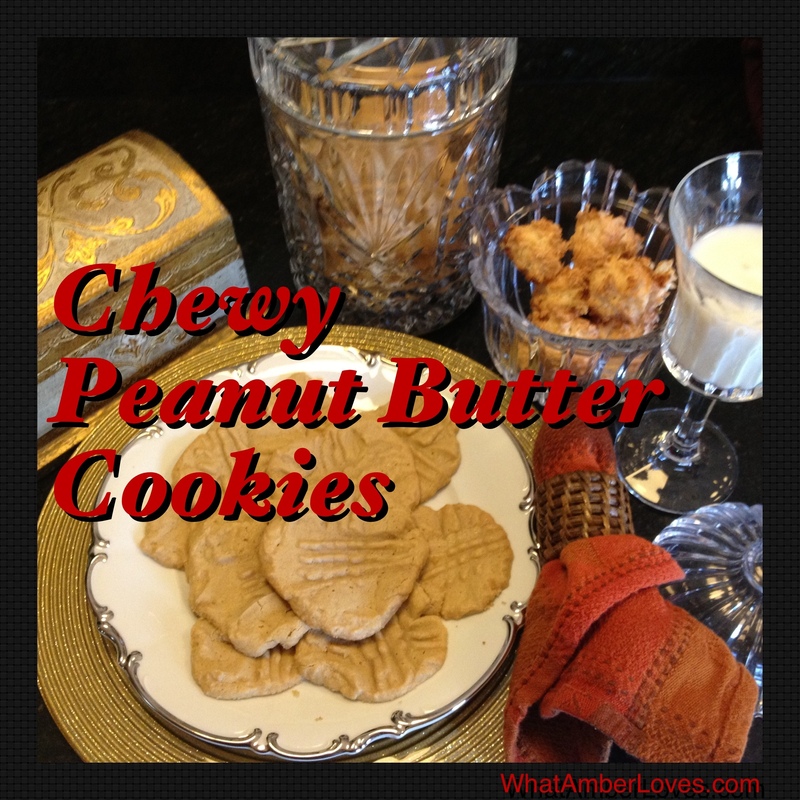 Posted on August 11, 2012, in Uncategorized and tagged peanut butter cookies, recipe, WhatAmberLoves. Bookmark the permalink. Leave a comment.